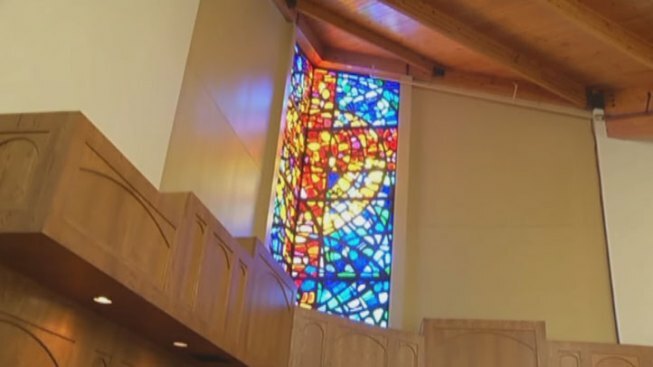 St. Barnabas Church is as good as new after the April tornadoes caused $3.5 million in damage. "It's a brand-new facility," pastor Will Cotton said. "Our people, when they come through on Sunday, are going to be amazed at what they see." They'll see a brand-new sanctuary from the pews to the piano to the stained-glass window. The congregation will also see a new multipurpose family life center with a stage, basketball goals, and half a dozen big-screen TVs and new classrooms in the school, as well as new roofing and flooring throughout the entire facility. Sunday's service will be the first in the church since the tornado. The congregation rolled up its sleeves in the aftermath of the storm, but the community helped get the church back on its feet, Cotton said. "We have been loved by the Arlington community in a way that's been spectacular," he said. "People have given us more water than we can drink. We've had food here during the whole time; people just offering their time offering to clean up." "It's been exciting to see all the different phases that we've gone through here," said Kathy Smith, the church's children's director. "We kind of made a bigger mess before we started making things look better." "The whole church grew in this process," Cotton said. "It was kind of a way of pulling us all together. It did that to Arlington as a whole -- it brought us all together." "It gives us a sense of a fresh start," Cotton said. "We feel like we're starting the next chapter of our church's history." "We've really bonded through this," she said. "We'll never be the same."